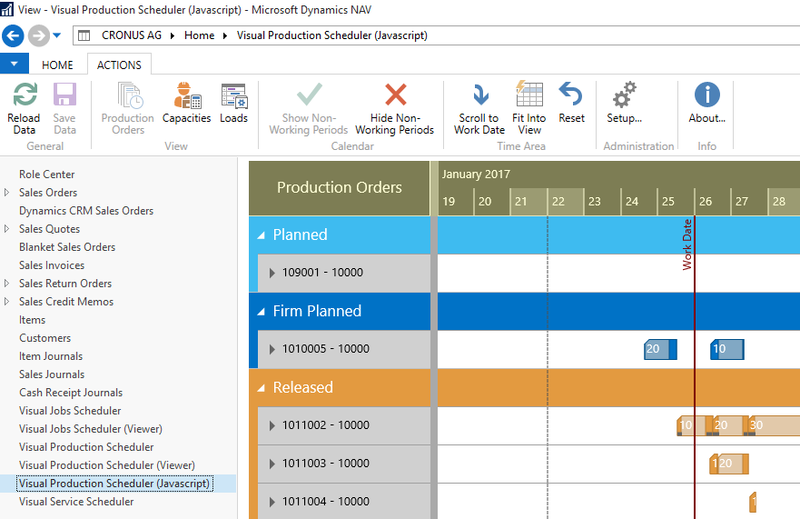 The Visual Production Scheduler relies on the .NET Framework and therefore serves NAV’s RTC Windows Client. The planning board is integrated into Dynamics NAV making use of the Client Extensibility Framework. As a client control add-in, it can be accessed by an additional page that we added into the manufacturing department's role center as can be seen from the screenshot below. 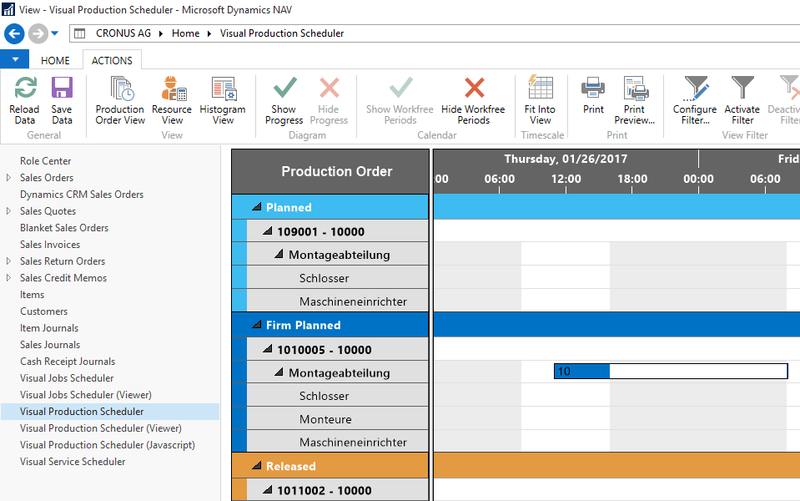 The planning board comes with three views, offering interactions especially tailored to the production scheduling process. Want to see both versions in action? Schedule a demo with one of our experts.